When sweet, carefree, and strikingly blonde sorority president Elle Woods' boyfriend dumps her to search for someone more serious, the unsinkable Elle decides to follow him to Harvard Law School and win him back. Along the way, Elle must contend with her ex-boyfriend's new flame, who seeks to sabotage Elle's romantic and educational efforts, as well as a shark of a law professor. 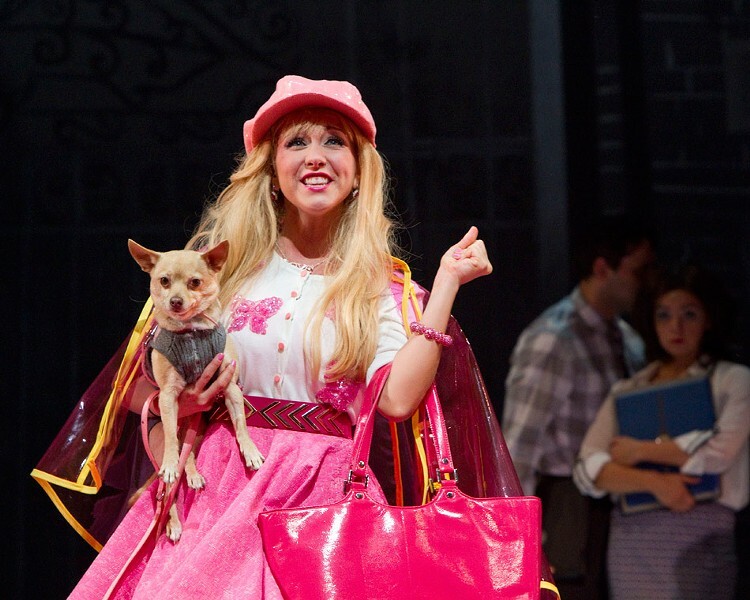 The 2001 hit movie "Legally Blonde," starring Reese Witherspoon, has been transformed into a high-energy song and dance extravaganza that is currently being staged at The Merry-Go-Round Playhouse (6877 East Lake Road, Auburn) as part of the Finger Lakes Musical Theatre Festival. Later this month it will also be staged by the JCC SummerStage program (see jccrochester.org for details). The Finger Lakes production kicked off last week, but continues through July 17. Show times this week are Wednesday, July 3, at 2 p.m.; Thursday at 7:30 p.m.; Friday at 2 & 8 p.m.; Saturday at 8 p.m.; Monday at 2 p.m.; Tuesday-Wednesday, July 10, at 2 & 7:30 p.m. Tickets are $22-$50 and are available for purchase by calling 315-255-1785 or by visiting fingerlakesmtf.com.